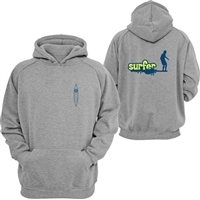 Surfer Baby Youth Clothing: Sweatshirts with Cool Designs. Peace Love Surf and Surfer, retro awesome surfer designs on teen, preteen and junior sweatshirts. Our popular Surfer and Peace Love Surf designs on youth sized sweatshirts.